Home Art Beautiful Photography Incredibly Beautiful Chemical Reactions to See with Your Own Eyes! Incredibly Beautiful Chemical Reactions to See with Your Own Eyes! How many of us did not like the chemistry class at school, but looks like we have missed a lot of beautiful things because of this. After all, if you know how certain substances react with each other, you can turn an ordinary chemical reaction into a bright idea and a brilliant show! Do you want to see an artificial snow? No problems! How about a show with fire? Sure, not a problem! Let’s be honest the Chemistry to most of us seems to be a very boring science. It looks like computing, but only with the letters instead of the numbers. You have to be a uniquely smart and truly fascinated by this science to be delighted with solving mathematical problems with the Chemistry alphabet. Those days the interest in Chemistry has increased dramatically. 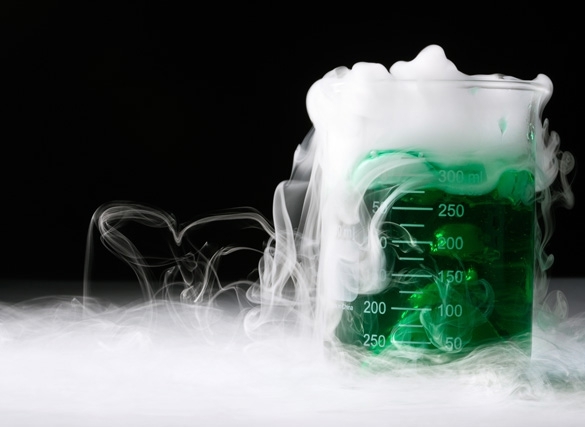 There is a huge demand for the Research Chemicals – USA market is one of the biggest markets where chemistry enthusiasts, chemistry students, freelance research scientists and an array of US based educational institutions are interested to know more about a range of chemicals and branded chemical mixes. The researchers are working hard to blend interesting and ingenious compounds through extensive testing. They have an apparent goal – to deliver to you the best mixes and chemicals so that you can have a satisfying and successful experimentation. Due to the Research Chemicals, you can explore unlimited Chemical reactions, and each of them definitely will be one of the most spectacular shows that you can see with your own eyes. Since conducting chemical experiments is quite often a perilous mission that requires special training and special equipment, I have prepared a few breathtaking videos to enjoy the unusual chemical reactions in dynamics safely. Our world is truly magnificent, and sometimes we don’t even realize that even a tiny molecule can be hiding an incredible power that has the strength to change the world. Research Chemicals can help you to learn and discover more about the core elements of our beautiful world. Don’t forget to share and comment on this post!